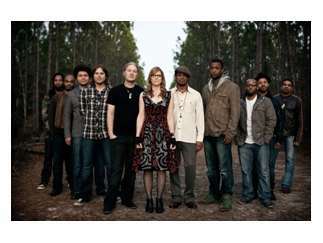 The Tedeschi Trucks Band, formerly known as the Derek Trucks and Susan Tedeschi Band, is a blues rock group based in Jacksonville, Florida. Formed in 2010, the band is led by husband-and-wife musicians Derek Trucks and Susan Tedeschi, and primarily features members from their solo groups. Their debut album, "Revelator," won a Grammy Award for Best Blues Album. Theirt fourth album, "Let Me Get By," was released in 2016.